Each long weekend during the Australia Day national holiday, the small town of Lexton in regional Victoria swells from its sleepy population of around 150 to over 10,000 as festival-goers from around the world arrive for the annual Rainbow Serpent Festival. 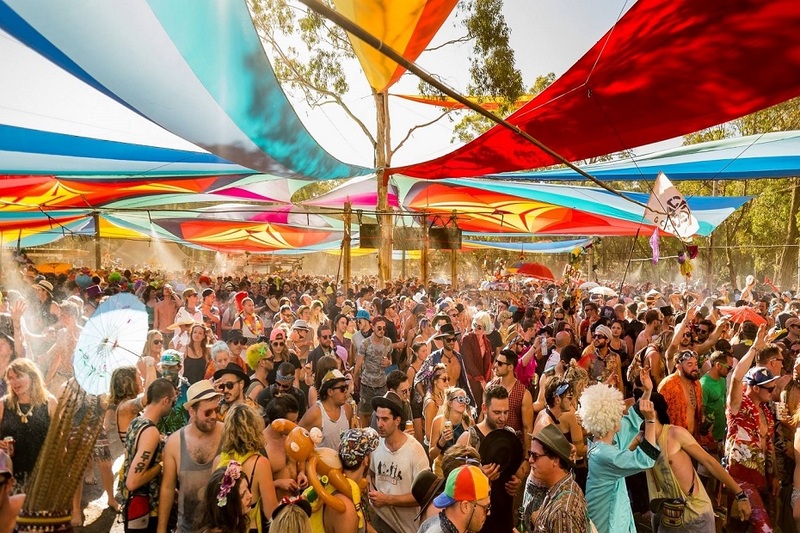 The Rainbow Serpent Festival has come a long way since it started in 1998, from a small gathering in a secluded clearing to an internationally recognized festival. The festival has become an institution and annual reunion to its loyal followers. The festival offers much more than the usual lineup of electronic music. It is a chance to truly escape the commercialism of the modern day world and reconnect with the earth in a way that the aboriginals have done for many thousands of years. 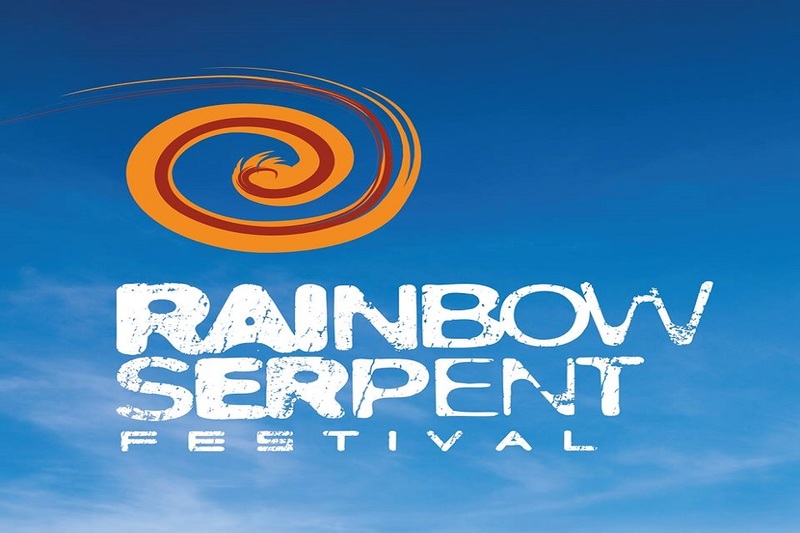 Rainbow Serpent is the name of the Aboriginal creation spirit and the festival’s two main stages (Main and Market) open with elaborate traditional ceremonies including elders from around the globe. The Main stage opens with a full traditional Welcome to Country, where local Aboriginies bless the land and attendees. When a rainbow is seen in the sky it is said to be the Rainbow Serpent moving from one waterhole to another. The Rainbow Serpent is a protector of the land and the source of all life. It is one of the oldest continuing religious beliefs in the world and continues to be a major cultural and spiritual influence to the Australian aboriginals to this day. The Rainbow Serpent Festival is largely known for its music, featuring genres such as psytrance, chillout, tech house and other variants of these styles. You can always find something to dance to with some of the festival’s six stages running 24/7. The Main stage opens on Saturday evening for 24 hours of wild tunes, lasers and multimedia displays designed to blow your mind. If electronic music isn’t your thing, there’s always The Playground stage with its eclectic mix of hip hop, funk and world music. 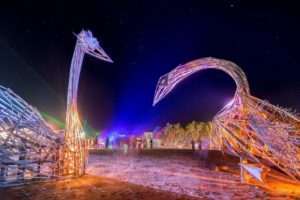 The Market Stage, which many consider the Holy Grail of dancing in the Australian Bush, hosts many of the headlining DJs offering a wider variety of styles including tech house, ambient and glitch hop running continuously over a 72-hour period. Mad Monday on the Market Stage is more than just an institution to festival-goers. Mad Monday is said to be the most outrageous costume party in Australia with ten thousand people dressing up for the occasion. It’s a spectacular sight not to be missed. For those who prefer a more intimate environment, the Sunset Stage caters to a smaller crowd while the Chillout Stage offers a place to relax and enjoy the chilled vibe while lazing on a beanbag.